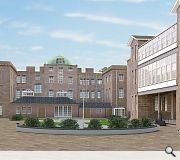 Detailed plans have been submitted for the conversion of an abandoned Aberdeen hospital to form a 52 room hotel, 27 serviced apartments, 30 flats and 10 affordable homes. Plans drawn up by TCD Architects will see the area around the central square, currently used as car parking, pedestrianised with surrounding listed buildings renovated to accommodate the change of use. Commenting on the plans Charlie Ferrari of CAF Properties said: “We believe our proposal will make a significant contribution to the wider masterplan for the revitalisation of Aberdeen city centre. Work on-site should begin in earnest next year for completion by late 2019.
glad to see its not another Halliday Fraser Munro Eyesore! 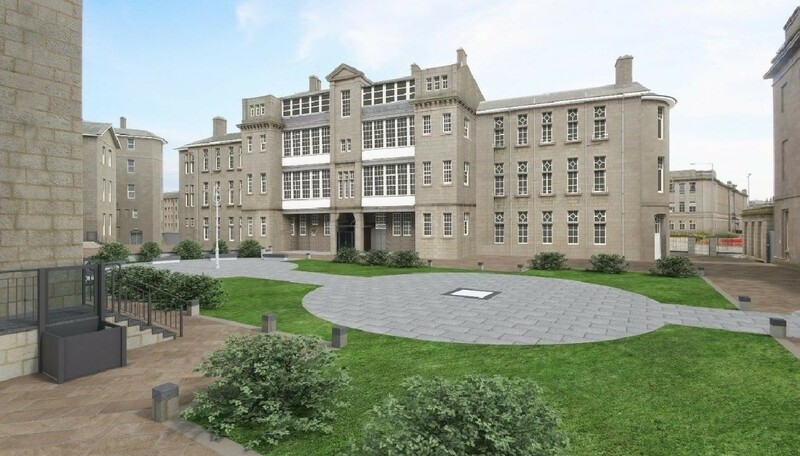 Look forward to seeing a similar plan for the retention and reuse of the historic buildings on the Victoria Infirmary site in Glasgow. Any move to demolish will meet robust resistance. It is good to see this happening in Aberdeen as the site and scale of the buildings is comparable to the one on the Southside of Glasgow. 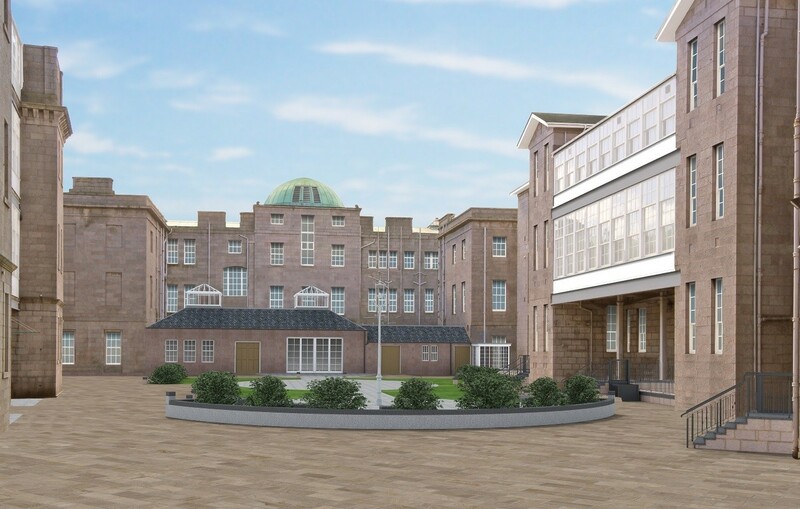 Sadly, that is where the comparison ends as the Victoria Infirmary has been more prone to unfortunate post war extensions but peel them away and there is a fine set of Victorian, Edwardian and Interwar Classical buildings waiting to be unveiled next to the sylvan setting of Queens Park. All it needs is a bit of deft conservation surgery and the townscape of Battlefield Road with its stepping profile of pepper pot towers and bowed balconies could be truly charming. It has all the makings of a Glasgow Quartermile and future conservation area. However, all this does beg the question of why a set of comparable buildings in Glasgow is so poorly regarded by Historic Environment Scotland that they have chosen not to intervene in the proposed demolition? 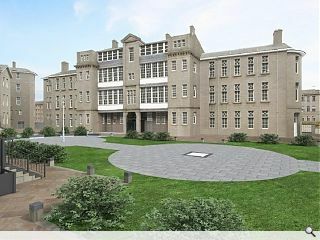 Instead, they have made clear to NHS Glasgow and GCC that the listing only extends to cover the ’B’ listed Campbell Douglas and Sellars administration building of 1889-90 and not the remaining buildings by a string of leading Glasgow Architects including HE Clifford and Watson, Salmond & Gray (i.e. the one who makes it into Das Englische Haus and the other whose Glasgow City Chambers extension makes it into the RIAS’s Scotstyle exhibition of the 100 best Scottish buildings since 1916) so they have no locus to get involved. Agreed Paul. Also nice to see a lovely abandoned building being brought back to life. #3 Don't believe the rumours!